LONDON - Union leaders at PSA Group's Ellesmere Port factory, which builds Opel/Vauxhall Astras, are calling for talks with the French automaker and the UK government after PSA said it will cut a quarter of the plant's workforce. PSA, which finalized its purchase of Opel/Vauxhall from General Motors in August, has said it will cut 400 jobs at the factory due to falling demand, confirming a report about the losses in Automotive News Europe. The automaker will reduce production of the Astra hatchback and Sport Tourer wagon to a single shift from two now. The cuts have led to fears for the factory's future after the UK quits the European Union, a move that will make the plant's cars more expensive to export to the EU and components more expensive to import from the bloc if there are tariffs between Britain and the EU. The job reductions re-open the debate on whether PSA will close Opel and Vauxhall plants, Evercore ISI analyst Arndt Ellinghorst wrote in a note to investors. Evercore believes there is a "strong argument" for PSA to close three European plants by 2021-2022 to improve capacity utilization. Opel's factory in Eisenach, Germany, and PSA's factory in Villaverde, Spain, could be shut and their production moved to other PSA plants without the need for significant additional capacity, Evercore said. Ellesmere Port is forecast to operate at a utilization rate of 65 percent and the cost of production in the UK is comparatively high, so it would make sense to move production to PSA’s Sochaux plant in France, Evercore said. A utilization rate of 80 percent to 85 percent is needed to run a plant profitably, experts say. PSA CEO Carlos Tavares said in September that PSA factories appear to be more productive than plants operated by Opel/Vauxhall. "The gaps I have seen so far are quite big," he said at the Frankfurt auto show. PSA said Ellesmere Port needs to adjust production volumes because of "challenging European market conditions and a declining passenger car market." The cuts will be made through voluntary layoffs among the 1,660 staff. A Vauxhall spokesman said the decision was made after sales declined of the plant’s key model, the Astra Sport Tourer Wagon. "We were running about two-thirds production doing around 120,000 a year," a spokesman said. "It's just not cost effective running a plant at that level." Opel also builds the Astra in Poland with annual production of around 180,000 units. Astra sales across Europe fell 2.6 percent through August, according to data from JATO Dynamics. Workers at the Ellesmere Port plant are angry about what they see as a betrayal by PSA after the company guaranteed the plant’s future until 2021 when the current-generation Astra will be replaced. "I’m flabbergasted at how we are being treated," a plant employee told ANE on condition of anonymity. 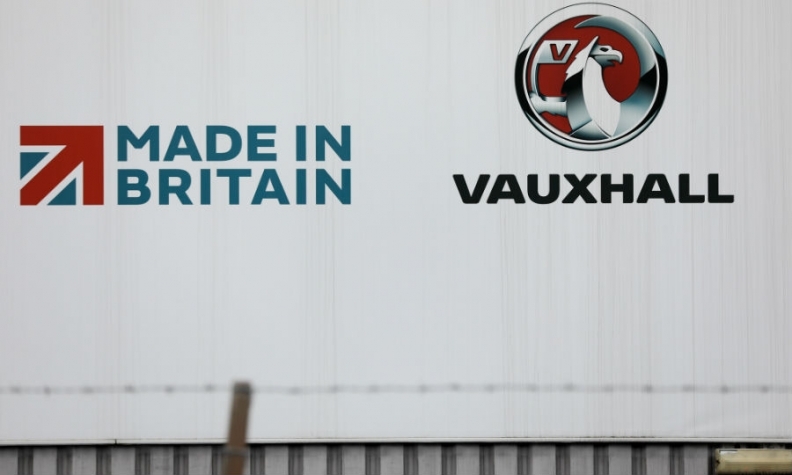 "This is a clear breaking of the promise from PSA when they bought Vauxhall/Opel." He said workers are worried that PSA won’t allocate a future model for the plant. In a statement, Len McCluskey, head of the Unite union, said: "We are calling for meetings with the highest levels of PSA to ensure our plant continues to attract much needed investment." Unite said it would also seek UK government meetings with the aim of securing economic assurances to the auto industry during the Brexit process. "This industry urgently needs economic and trading certainty so that it can build for a strong future in the UK," McCluskey said. Automakers producing in the UK wanted Britain to remain in the EU and have voiced concerns about the lack of clarity about what happens on a range of issues when the UK leaves the bloc in 2019. Ellesmere Port is one of two former GM factories in the UK bought by PSA. The other, in Luton, builds Opel/Vauxhall Vivaro vans. PSA said the company had no plan to cut headcount there.